The 10th annual Wounded Warrior Project (WWP) Courage Awards & Benefit Dinner presented by First Data Corporation and the Joe Plumeri Foundation, with the generous support of USAA, is being held on Thursday, May 28, 2015, at the Waldorf Astoria in New York City. This fundraising gala will bring together injured service members, their caregivers and families, and the most influential WWP supporters. The awards will honor Mark Wahlberg with the James Gandolfini Award. This award honors James Gandolfini's invaluable work by recognizing outstanding character in service to warriors and their families. Mr. Wahlberg was overwhelmingly nominated for this award as that same outstanding character was recognized in him. 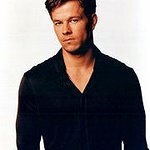 Mr. Wahlberg’s support of Wounded Warrior Project (WWP) began through his participation in direct-response TV commercials. The television spots have raised a tremendous amount of awareness not only for WWP, but for the challenges our injured service members face as they transition back into civilian life. Additionally, with his tireless work promoting veterans’ issues in concert with the launch of his film “Lone Survivor,” he became a determined and impassioned voice in the discussion. Through his personal and professional work, Mr. Wahlberg is truly living the WWP mission to honor and empower Wounded Warriors. The Courage Awards & Benefit Dinner presented by First Data Corporation and the Joe Plumeri Foundation, with the generous support of USAA, will help WWP provide our nation’s injured service members with much-needed support through 20, free life-saving programs and services. WWP does not charge membership or participation fees to injured service members, their family members, and caregivers to participate in any of the programs. WWP programs focus on engagement, mind, body, and economic empowerment, vital areas that have a wide range in scope, including: physical health and wellness, family support retreats, career placement, education assistance, help with the benefits process, and long-term support and independence programs for the most seriously injured veterans. Through this event, WWP is able to honor and empower Wounded Warriors to not only survive with their injuries but to thrive and achieve personal and professional success.